Pakistan’s Prime Minister Nawaz Sharif is to attend the inauguration of Narendra Modi as Prime Minister of India on Monday. It is the first time since the two countries won independence in 1947 that a prime minister from one state will attend such a ceremony in the other. The two nuclear-armed rivals have fought three wars in the past 60 years. Mr Modi is seen as a hardliner on national security issues. His BJP party advocates a tough stance on Pakistan. But correspondents say his huge election victory gives him a mandate to reach out to Pakistan in a way the previous administration could not. Bilateral ties suffered badly in the wake of the 2008 attacks in the Indian city of Mumbai, when 166 people were killed by Pakistani gunmen. Relations improved slightly under outgoing PM Manmohan Singh, but there are still regular skirmishes on the disputed border in Kashmir. Mr Singh was invited to Mr Sharif’s inauguration last year but did not attend. 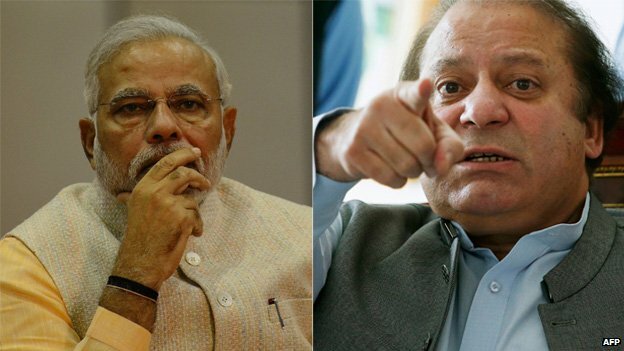 via BBC News – Pakistan PM Sharif to go to Modi inauguration in India. ON MAY 21st, after a nail-biting session of late-night brinkmanship, China and Russia signed an enormous gas deal worth, at a guess, around $400 billion. Their agreement calls for Russia’s government-controlled Gazprom to supply state-owned China National Petroleum Corporation with up to 38 billion cubic metres of gas a year between 2018 and 2048. The deal capped a two-day visit to China by the Russian president, Vladimir Putin, that included a regional-security summit and joint military exercises off the Chinese coast. Mr Putin called the deal the biggest in the history of Russia’s gas industry. But it counts, too, for the geopolitics that underpin it. That an agreement should come now, after a decade of haggling, is no accident. The deal will help the Kremlin reduce Russia’s reliance on gas exports to Europe. It is proof that Mr Putin has allies when he seeks to blunt Western sanctions over Ukraine. Both Russia and China want to assert themselves as regional powers. Both have increasingly strained relations with America, which they accuse of holding them back. Just over 40 years ago Richard Nixon and Henry Kissinger persuaded China to turn against the Soviet Union and ally with America. Does today’s collaboration between Russia and China amount to a renewal of the alliance against America? That is surely the impression Mr Putin wants to create. Ahead of his visit he gushed to Chinese media, saying their country was “Russia’s reliable friend”. Co-operation, he said, is at its “highest level in all its centuries-long history”. 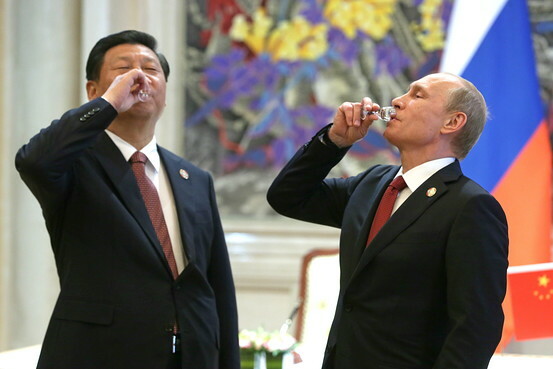 From the Chinese side, Xi Jinping chose Russia as the first country he visited on becoming president in 2013. Commercial ties are growing. China is Russia’s largest single trading partner, with bilateral flows of $90 billion in 2013. Even before the gas deal, the two sides hoped to double that by 2020. If Western banks become more reluctant to extend new loans, financing from China could help Russia fill the gap. 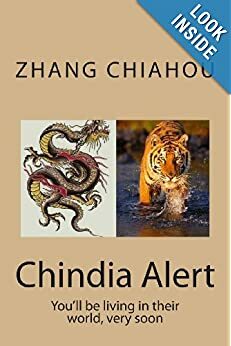 China badly needs the natural resources which Russia has in abundance. 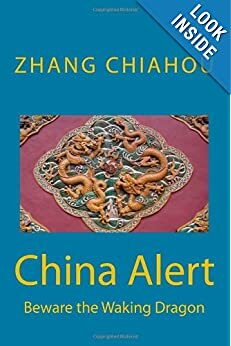 The gas deal will ease China’s concerns that most of its fuel supplies come through the strategic chokepoint of the Strait of Malacca, and will also enable China to move away from burning so much of the coal that pollutes the air in Chinese cities. The two have also made common cause in geopolitics. China abstained from a UN security council vote in March that would have rejected a referendum that Russia backed in Crimea before it annexed it. China has also joined Russia in vetoing UN attempts to sanction the regime of Bashar Assad fighting a civil war in Syria. The two have taken similar stances over issues such as Iran’s nuclear programme. China and Russia share a strong sense of their own historical greatness, now thwarted, as they see it, by American bullying. Both want the freedom to do as they please in their own back yards. Russia’s annexation of Crimea and its manoeuvring in eastern Ukraine have vexed America and Europe and left Mr Putin with even fewer friends than before. China’s push into the East and South China Seas is causing similar concerns in Asia, as smaller neighbours worry about its expansionism. But the West should not panic. 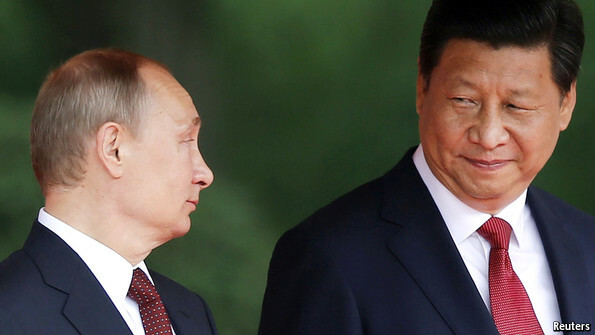 Despite all this, Russia and China will struggle to overcome some fundamental differences. Start with the evidence of the gas deal itself: the fact that it took ten years to do, and that the deal was announced at the last minute, suggests how hard it was to reach agreement. The Chinese were rumoured to have driven a hard bargain, knowing that Mr Putin was desperate to have something to show from his trip. In this deal, as elsewhere in the relationship, China has the upper hand. Other supplies of gas are coming online in Australia and Central Asia. And whereas China’s global power is growing, Russia is in decline—corroded by corruption and unable to diversify its economy away from natural resources. The Chinese government will expect the Kremlin to recognise this historic shift—a recipe for Chinese impatience and Russian resentment. Although the two countries are united against America, they also need it for its market and as a stabilising influence. And they are tussling for influence in Central Asia. Their vast common border is a constant source of mistrust—the Russian side sparsely populated and stuffed with commodities, the Chinese side full of people. That is why many of Russia’s tactical nuclear weapons are pointed at China (see article). In the long run, Russia and China are just as likely to fall out as to form a firm alliance. That is an even more alarming prospect. via China and Russia: Best frenemies | The Economist. Vladimir Putin pivots eastward. Should America be worried? The No. 9 Design & Research Institute of China State Shipbuilding Corporation recently displayed on its official website its proposed design of an artificial island to be built on a reef in the South China Sea. 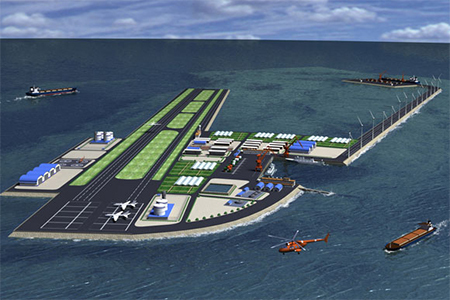 It aims at providing a reserve of designs for an artificial island China may build there. On the website, there are also the following designs for the work platform for construction of the island, which can be installed on a transformed civil ship at low cost. The reclamation on Johnson South Reef continues, as shown in the bottom photo. After five weeks of staggered voting, more than 550 million ballots cast, and almost $5 billion spent, the world’s largest democracy finally has a new leader. Yet the question that has loomed over India’s long campaign remains: What kind of leader is Narendra Modi going to be? Modi fought an impressive campaign focused mostly on the right issues. He successfully cast the election as a referendum on who could better deliver jobs, government services, and economic growth: himself or Rahul Gandhi, the ruling Congress party’s heir apparent. The landslide victory of Modi and his Bharatiya Janata Party—the biggest for any party since 1984—testifies to Indians’ hunger for decisiveness and efficiency after years of policy drift and corruption scandals. Yet voters have little idea how Modi will govern. He has given no sign of how far he’ll challenge his own supporters on economic and social policies. Investors expecting miracles are in for a letdown, because India’s political system is bound to intervene. According to JPMorgan Chase (JPM), about 70 percent to 80 percent of regulatory and other roadblocks impeding big industrial projects aren’t within Modi’s power to remove. Even so, he needs to make progress where he can. A good place to start would be to keep an election promise to introduce a combined goods and services tax—something Modi’s own party has long opposed, because it would force revenue losses on state governments. (Modi could offset some of the losses using central revenues.) He should move to phase out petroleum subsidies. He should give state and local governments greater flexibility in regulating labor markets, land sales, and more. Economic competition among the states is key. Above all, India’s new leader must also reach out to the country’s Muslims—assuring them that he recognizes they are full and valued citizens entitled to an equal measure of security, trust, and respect. Modi’s campaign was based in part on a simple point: India can no longer afford to muddle through, endlessly avoiding difficult decisions. Now it’s time to deliver. via Modi’s Big Chance to Fix India – Businessweek. India will impose anti-dumping duties on solar panels imported from the United States, China, Taiwan and Malaysia to protect domestic solar manufacturers, according to a government statement seen by Reuters on Friday. The order, almost certain to anger India’s trading partners, sets duties of between 11 and 81 U.S. cents per watt and comes after a investigation which started in 2011. The ruling by a quasi-judicial body has to be published by the Finance Ministry before it takes effect. The decision adds to India’s growing trade disputes just before Narendra Modi takes office as prime minister on Monday. “Imposition of anti-dumping measures would remove the unfair advantages gained by dumping practices,” said India’s Anti-Dumping Authority in its order released on Thursday. Local manufacturers have long complained that U.S., Chinese and Malaysian companies enjoy state subsidies and are selling their products at artificially low prices to capture the Indian market. India also believes that anti-dumping duties imposed on Chinese solar producers by the European Union and the United States have further driven down the price of Chinese solar products, to the detriment of Indian suppliers. India aims to raise its solar power capacity to 20,000 MW by 2022 from 1,700 MW currently. It imported solar products worth nearly 60 billion rupees ($1.03 billion) last year, according to an industry estimate. Domestic manufacturers got less than 2 percent of that business. “India’s solar manufacturing is now bound to revive and further increase with both local and overseas participation ensuring a robust supply chain,” said H.R. Gupta of the Indian Solar Manufacturers’ Association. Under the new duties, importers will have to bear additional costs of between 5 percent and 110 percent while importing solar cells and panels from the United States, Malaysia and China. via India hits U.S., China with solar imports anti-dumping duties | Reuters. Wal-Mart, the world’s largest retailer, has announced plans to accelerate its expansion into China by adding as many as 110 stores over the next three years, resulting in an almost $100 million investment. The Bentonville, Arkansas-based firm wants to open the new stores in the world’s second-largest economy at the same time as closing 30 under-performing outlets over the next 18 months. China is key to Wal-Mart’s international ambitions but it has stumbled in a market where consumers value safe and authentic food over the low prices for which the retailer is known. The U.S. retailer, which operates about 400 units in China, said last October that it would open up to 110 facilities in the country between 2014 and 2016 and was looking to close 15-30 others over the next 18 months as part of a rationalization process in the country. Its local rival, Sun Art Retail Group Ltd, said in March it would continue to maintain steady new store expansion after China’s top hypermarket operator posted a 15.2 percent rise in 2013 net profit with an expanding store network helping it shrug off an economic slowdown. ‘China presents one of the biggest opportunities for us around the world to grow our stores and clubs, so its really important,’ Doug McMillon, president of Wal-Mart’s international business, said today in an interview with Bloomberg Television. Wal-Mart already has 400 outlets across China and Wal-Mart is looking to develop a larger presence in the country’s largest center’s while building bigger stores in third- and fourth-tier cities. 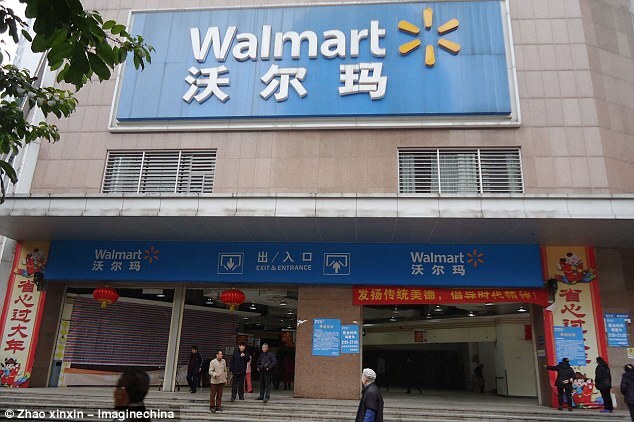 via Wal-Mart to open 110 stores in China as part of $100 million expansion bringing 19,000 jobs to world’s second-largest economy | Mail Online. Cruise lines are betting that the growing number of middle class consumers in China are keen to sample chocolate buffets and stroll the Lido deck. And that’s leading to an influx of ships being sent to sail year-round from mainland China. China is expected to be the world’s second-largest cruise market (after the U.S.) by 2017, with growth rates far higher than in North America and Europe, the two regions where the industry has historically collected most of its profits. Carnival (CCL), the industry’s largest player, with 10 brands and more than 100 ships, plans to base four ships in mainland China next year, while also boosting its year-round fleet in Australia. The Asian Cruise Association estimated in a 2013 report that area demand will nearly triple to 3.8 million annual cruisers in 2020, with 1.6 million from China. The industry’s second-largest cruise company, Royal Caribbean Cruises (RCL), surprised many in the industry last month by announcing plans to move a brand new ship, Quantum of the Seas, to Shanghai in May after its inaugural six-month run in New York. Traditionally, the industry has deployed only older ships to Asia—a practice that’s likely to wane, given Chinese consumers’ demand for equal access to the newest and best amenities from companies vying to break into the market. 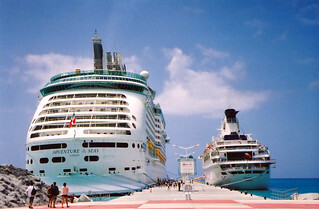 via In China, Cruise Lines Hope to Woo Millions of First-Time Guests – Businessweek.